On popular demand, I have collected my top recommended triathlon-related products, brands, and resources on one single page. If it's not a "WOW" it's a "NO". You will notive that there are product categories missing from this page. That is because I only include products that really provide a wow-experience. The kind of experience that makes me feel it's my mission to let the world know about the product. In any given category, if I haven't yet had that wow-experience I simply won't recommend anything at all until I find a product worthy for this page. It must be relevant for age-group triathletes or triathlon coaches. This, of course, still allows a wide range of products/brands/services to qualify for a recommendation, but there are cases where a product/brand/service may make sense for a non-athlete or for a professional athlete, but are not relevant for age-group triathletes so as great as the product may be, it won't qualify. I never give paid endorsements. Although I may have partnerships or affiliations (see below) to some companies behind the products on this list, this list stands in complete isolation, and there is no cheque big enough to make the cut if I cannot genuinely stand behind and recommend the product/brand/resource. I do have partnerships and/or affiliations (e.g. podcast sponsorships) to some of the companies included on this list. Companies may send me products/resources to try out. If I really, really like them, they may make the list. If I'm neutral to them, like them "somewhat", or dislike them, they won't make the list. Neither existing partnerships/affiliations nor "freebies" sent by companies give these products/brands/resources any advantage over their competitors for making the cut for this list. This list stands on its own, and if a competitor to a partner company or to a company sending me freebies has a better product, I will recommend the competitor. If you are a business, an author, or somebody else interested in getting featured on this page, two things need to happen. I must be a user of your product. I must be wowed by your product. Depending on my interest in your particular product and my time availability, I would be happy to give your product/book/thing a try/read. Feel free to email me on mikael@scientifictriathlon.com to discuss in more detail. Please note that I never give paid endorsements or sell sponsorships on this page. I have been using the Garmin Forerunner series since ~2011 and counting. Back then I was only running. When I switched to triathlon, I started using the Forerunner 920XT, and I'm still using it today. And am extremely happy with it! If I were to buy a new watch today (which I would only do if I lost my 920XT or it stopped working) I would get the Forerunner 735XT, or the Forerunner 935 if I had a bit of extra cash to spend. Having coached a lot of athletes with a lot of different watches, I do see a trend in that athletes with GPS-watches other than Garmin have a lot more issues with them than those using Garmin-watches. But even within the Garmin brand, based on what I've seen and heard from my athletes, I would go with the Forerunner series above any of their other product lines. I had a brilliant wetsuit, just a couple of months old. Then I was lucky enough to get my hands on box full of ROKA-gear. Including a Maverick X wetsuit, which really rocked my world and made all other wetsuits seem like Ford Escorts to my Porsche. I also love my ROKA trisuit, the Gen II Elite. It is ridiculously aerodynamic. The increased speed on the bike compared to my other trisuits was immediately noticeable. Same power, more speed! I also rely on ROKA for swimskins (damned Portuguese summer, with non-wetsuit water temperatures...), buoyancy shorts, goggles (R1 goggles with a forward-facing lense-angle making sighting faster and more efficient) and sunglasses. No triathlon apparell brand I have tried even comes close in quality and performance. Use the discount code "THATTRIATHLONSHOW" on www.roka.com for 20% off your entire order. I have to first admit to the fact that I haven't really tried out that many products from Finis' competitors, as I just stumbled into the Finis line of products and was hooked. But in its own right, many of Finis' products are invaluable to me and my athletes: true wow-experiences in how much more effective they can make your swim training. The Original Swimmer's Snorkel - every triathlete should have a snorkel to be able better practise swim technique. And this snorkel is a fantastic option. Stretch Cords (I use the medium resistance, green ones) - these can be used at home or in the gym or during travel. It can provide a short, additional high-quality session, that gives great physical and technical development. It can be a replacement for swimming when you're travelling and without access to a pool. And it can be used as a short dryland warm-up before you jump into the pool, to really ingrain the right stroke trajectory before you try to do it in the water, where it's more difficult to know what you're doing. Phenomenal tool! The Tempo Trainer (a small metronome) - a fantastic tool for swim training for various reasons. Whether your working on stroke rate and use the tempo trainer to stick to a target number, or you're doing a hard threshold set and use the tempo trainer to keep you on pace, trying to beat the beep at each turn at the wall. I have to admit though, that I use the Tempo Trainer much less these days since realising that if I just want to hit a time at the turn at the wall, my Garmin 920XT with Time Alerts can do the same job for me. This doesn't take anything away from the Tempo Trainer, which is one of the best investments a triathlete can make in their swimming, when used right. I also use a Finis pull buoy, ankle strap, and mesh bag, and used to use their Freestyler paddles which I loved (but then I gave them away to somebody in need). I'm now awaiting the Agility paddles instead, and have high expectations for them. Across the board, my experience with Finis swim equipment has been excellent. As you may understand, being a triathlon oach is not the most lucrative job in the world (it is the best in many other ways). So for a looong time, I was stuck on training wheels, getting more and more frustrated that my equipment was holding me back, as many of my fellow triathletes could just out-buy me. And 2000€ race wheel sets, that would help me go faster for the power I was pushing, were just out of the question. Then FLO came along, and their direct to consumer model, along with great and effective manufacturing and supply chains meant that they could effectively sell wheel sets of the same quality as their competitors (and since 2018, UCI-legal wheels for those dabbling in cycling or draft-legal events) for roughly half the price. Bingo! I have been on a pair of FLO Carbon Clincher 60s for a while now, and they are great. I finally get the speed that my power deserves. And these wheels handle the wind very well. I don't use these wheels just as race wheels, I use them day in, day out, and the quality build means they can handle it. 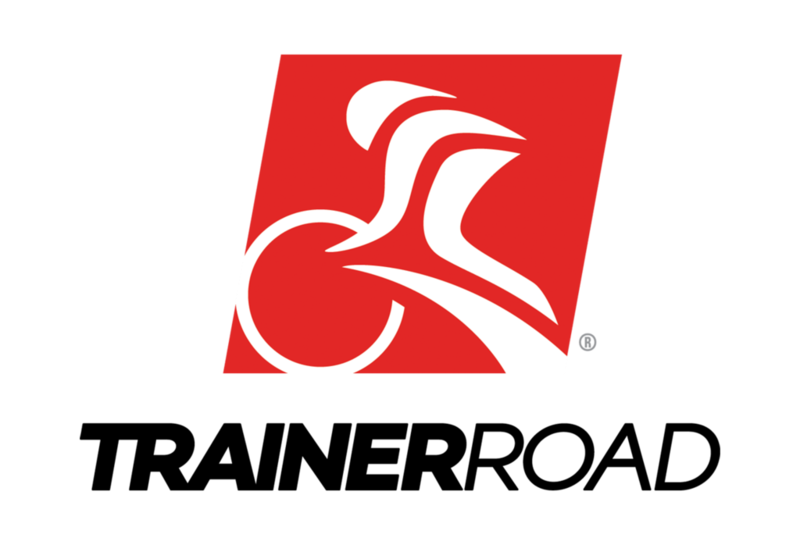 FLO Cycling is also a company I admire, with "Giving back" schemes in place, and great transparency. Plus, Jon and Chris has a great podcast of their own, the "Faster" podcast. Almost 90% of the power you use when cycling on a flat course is spent fighting aerodynamic resistance. The revolutionary Virtual Wind Tunnel technology by STAC makes aerodynamic testing quick, affordable, and accessible anywhere. This kind of testing has previously only been available at a massive investment of time and money by going to a wind tunnel. With the VWT tech (based on a 3D-scanner attached to an iPad), it can be done in your living room in 5 minutes, at a fraction of the cost of actual wind tunnel testing, but with as reliable results. Want to know how a potential change in position will change your aerodynamics and your speed over your next race? Or how much you could benefit from buying an aero helmet, race wheels, or change the position of your water bottles. Easy, with the Virtual Wind Tunnel. I am a provider myself of the Virtual Wind Tunnel service in Portugal, and wherever I may be travelling. To find providers elsewhere, refer to STAC's website. I was one of the early adopters of running power meters, both as an athlete and a coach. Early on, it became clear to me that the ability to use power in training and racing was a massive advantage any time you encounter hills. In racing, I became the "master of hills", and would smile seeing people charge up hills way too fast, and then I'd overtake them on the dowhill or flat segments with a much more even power distribution that kept me fresher for longer. But I also started to really get into what power can tell you about your running effectiveness: how good you are at converting power into actual speed. This is made possible with Stryd, and this information is invaluable. Should you focus on just improving sustainable power? Or is your limiter on the effectiveness side? You may have good power, but you can't convert it into good running speed. Taking it even further, what's the impact on your running effectiveness when you have to ride first and run off a hard bike? I'm very proud to be one of the coaches in the Stryd Power Coaching family. One of my all-time favourite quotes from an interview I've conducted was a famous coach saying something along the lines of "it's a sin when athletes invest all this money and time into their training and racing, but have nutrition or hydration issues on race day". I do agree, but how do we prevent these issues? Hydration in particular has been a bit of a mystery for athletes. There simply hasn't been a lot of knowledge out there about it. People follow generic guidelines for taking salt, but still end up cramping or throwing up in the Energy Lab. Sports scientist and former elite athlete Andy Blow was one of the athletes who had many issues related to hydration and ended up scratching his own itch, and formed Precision Hydration to help athletes get their hydration and electrolyte balance right. What I love about Precision Hydration and what I think sets them apart from their competitors is that they don't just sell electrolytes and hydration products. They empower athletes to use them right, according to the athlete's individual sweat rate and sweat sodium content, as determined by a simple, fast, and free online sweat test. With their fantastic blog and other resources, they are like a hydration consultancy, and whatever hydration questions I have, I know that I can find the answer from Precision Hydration. I rely on SiS for energy gels, bars, caffeine shots (this is one of my secret weapons for intense workouts and races) and other sports nutrition products. I like the taste of the produts and they sit well in the stomach. But more importantly, SiS is to my knowledge the company that invest the most heavily in research to really nail down the perfect products with best and fastest absorption, energy uptake, and whatever the objective of any given product may be. Everything is Fuelled By Science and their product development is relentless, and is done by world class scientists working closely together with world class athletes. The fact that the products are all Informed Sport Tested (meaning, screened for any traces of banned substances that could have you banned for doping) is also a very important point to make. 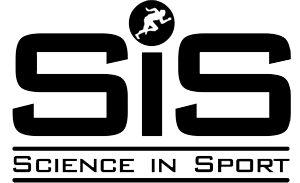 Science in Sport is trusted by Teak SKY, British Cycling, USA Cycling, Cycling Australia, USA Triathlon, over 40 English and Scottish professional football clubs, and 34 medallists at the Rio Olympics in 2016. If you've followed my content for a while, you know that I prescribe to using data to drive effective training planning and decision-making (not at all at the exclusion of qualitative inputs, to be clear). Training Peaks is hands down the best and most all-round tool to use for any triathlete that wants to use a data-driven training approach. A lot of the data that is now de facto standards in endurance sports (like Training Stress Score, Chronic Training Load, Training Stress Balance, Intensity Factor, Normalised Power, etc.) were first implemented in Training Peaks. Which is perhaps why no other platform has immplemented these concepts anywhere near as well as Training Peaks. With Training Peaks you can effectively plan your training on both a macro (annual training planning) and micro (workout-level) level. You can analyse your workouts to see what went well and what to improve for next time. You can track your Peak Performances, your training load, and get a ton of other (often very relevant) training metrics. In a nutshell, Training Peaks gives you all the tools you need to plan your training effectively, check if your training is progressing well, and change direction if needed. Training Peaks comes with free and premium account tiers. The free account is a good one to get started, but if you really want to benefit from the platform, you should upgrade to the premium account. It is an invaluable investment, and on a yearly subscription, it's only ~10$ per month. The premium account is so invaluable that in my coaching I put all of my coaching clients on a premium account and cover the costs myself. There's a lot of competition on the market for bike training apps, but TrainerRoad blows all its competitors away, if I get my pick. The reason? It just provides super effetive training for the triathlete serious about improving their power on the bike. If your priority in selecting a cycling app/software is to get the most fun/creative/playful/varying experience, TrainerRoad may not be your best choice. But if your priority is to improve your bike power, look no further. TrainerRoad comes packed with ready-made training plans that are top-quality (and I'm not easily impressed). For example, choose a Sweet Spot Base, an Olympic Distance Build, or an Iron Distance Specialty phase depending on your goals and the time of year. Or, you can mix and match by just selecting one of 1000+ (easily searchable and filterable) workouts that fit with your current training goals. Want a VO2max workout that's 60-90 minutes with an Intensity Factor of 0.87-0.89? TrainerRoad has got it, and they've made it easy for you to find it. WKO4 is a tool I love and use pretty much daily alongside Training Peaks when analysing my athletes' training and progress. I want to make clear, however, that I don't necessarily recommend it for athletes, unless you have a lot of extra time on your hands. But I can't recommend it enough for my fellow coaches. WKO4 has use cases across the board in swimming, biking, and running. But cycling is what it was first developed for, and where it really shines. Most of the most useful functionalities (in my opinion) require a power meter, but not all. To give you an example, WKO4 can model an athletes's entire power-duration curve and give a very good estimate for their FTP. Often, I don't need to give my athletes a new FTP-test, because I can see from WKO4 what their actual FTP is currently, based on the number-crunching the software does after every single workout. If you or your athletes are using Stryd, all the more reason to invest in WKO4. A lot of the really cool analysis Stryd allows you to do (like looking at Running Effectiveness and Leg Spring Stiffness charts) is not yet implemented in any other software than WKO4. This includes Stryd's own Power Center and Training Peaks. I never let my athletes go off to race an important race without having a race plan. And an integral part of this is their pacing strategy for the bike. It is one thing to have done the training and be in top-shape, but getting it all out there and tapping into all of your potential on race day is quite different. Best Bike Split takes the incredibly complex, multifactorial problem of bike pacing and spits out race power plans that result in new best bike splits time and time again. Never again do you need to get a new all time best average power, only to see on Strava that your frenemies that outrode you by 10 minutes actually used less power than you did. 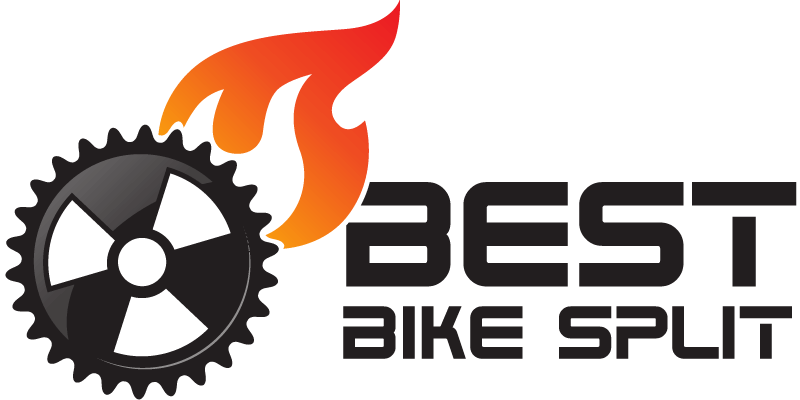 Best Bike Split has a free account option that is a great way to get started with the platform, and it allows you to do most of the things you'll want to do. The premium tier comes with more bells and whistles (like adding more bikes, more race plans, omparing race plans directly, etc.). Note that Best Bike Split relies on you or your athletes having a power meter. As a coach, Best Bike Split premium is one of the lines on my expense sheet that I would never get rid of, as it allows me to give my coaching clients so much additional value from being coached by me. For decades, we have known about the two most important foundations of training for endurance sports: a large total training volume, and an element of high-intensity interval training as part of that training. What has not been clear is how to get the most bang for your high-intensity interval training (HIIT) buck. Prof. Paul Laursen and Martin Bucheit, PhD, are changing that with their multi-year, amazingly ambitious HIIT Science project. 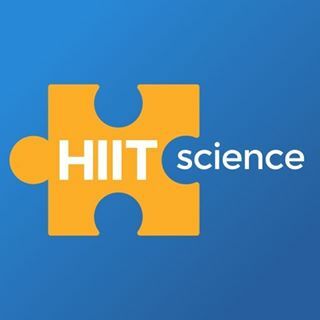 This project started out as a peer-reviewed systematic review, from which a book (The Science and Application of High-Intensity Interval Training) was created, and the pinnacle of the project was the creation of the HIIT Science online course. The course combines the latest research and decades of elite-level experience in one comprehensive, self-paced, cost-effective course. Created by 20+ experts (in addition to the overall HIIT education, there are sport-specific modules like triathlon, running, cycling, swimming, football etc.) with decades of combined experience at the top tiers of their sports, you’ll find everything you need to understand why HIIT works and how to apply it to your specific athletes and sport. 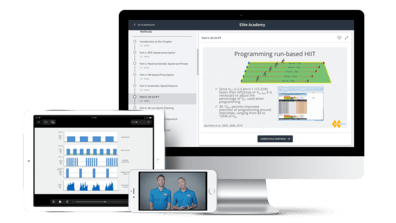 The HIIT Course is created for sports scientists, coaches, sports science students and even ambitious athletes by sport scientists and coaches. I am taking the course at the moment of writing, and already it is changing the way I coach. The course teaches me everything I need to understand of the science behind HIIT, allows me to implement an arsenal of practical training weapons, and ultimately improve my athletes' performance. At the end of the day, this helps me stand out as a coach in the very competitive coaching landscape.